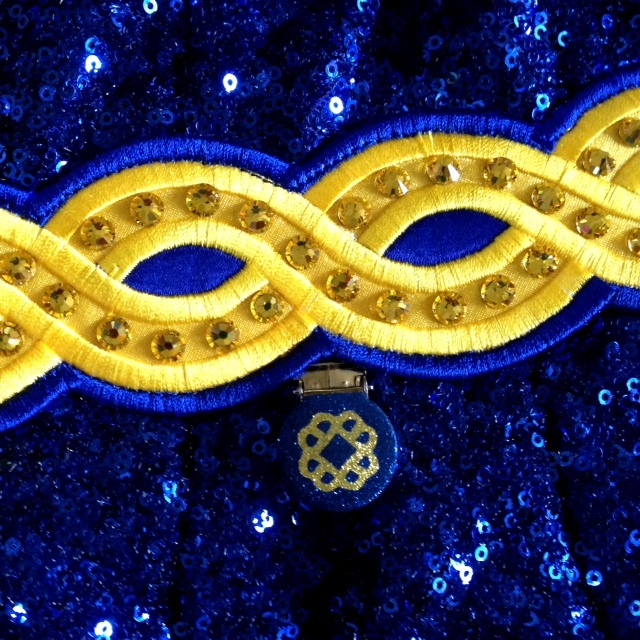 Beautiful Sarah Rule dress made with royal blue satin and sequin fabric with yellow Celtic embroidery. It shimmers and sparkles on stage with over 700 Swarovski crystals. Dress was purchased brand new in March of 2013, but out grown by November after a surprise 4 inch growth spurt. 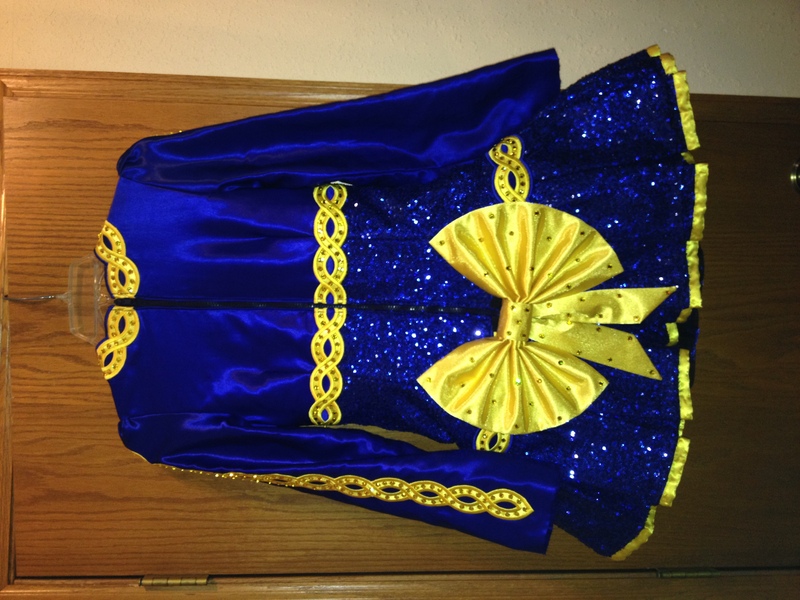 There is some very slight wear on the sleeves where they rub against the skirt sequins, but otherwise like new. 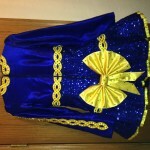 Dress comes with a matching headband, custom made number holder, extra Swarovski crystals and matching “Curly Girl” pin. 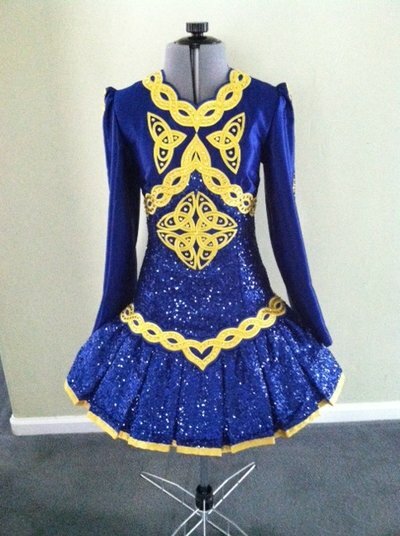 There is a 2.5 inch allowance in the bodice to lengthen. Each seem has an inch allowance to let out. The sleeve could be lengthened half an inch. Asking Price: $US1200.00. Shipping costs are included for my own country, overseas shipping is extra. Will accept returns and refund the cost of the dress, buyer to pay all shipping costs.